Skeptic’s question: Sure you earned 33.45, but you sold load to 30 people in 10 days, that cost you P30 load when you use your cellphone. My answer: You are in control of your business as I am. Here are my 3 tips addressing this concern. Tip #1: In my store, I mark-up P1 per transaction to protect my earnings, therefore, my earnings are still Php 33.45 as far as VMobile is concerned, plus P1 mark-up x 30 people = Php30 for load transaction fees. Load transactions from cellphones are subject to P1 per message sent to your gateway. Tip #2: If you have Internet connection, use the loadxtreme.ph website to load, it is free to transact and sell load. You can either mark-up your price or not, depends on you. I’d rather not mark-up if you use the Internet primarily, whether on your computer or smartphone, whether you have a prepaid or postpaid subscription from your network. 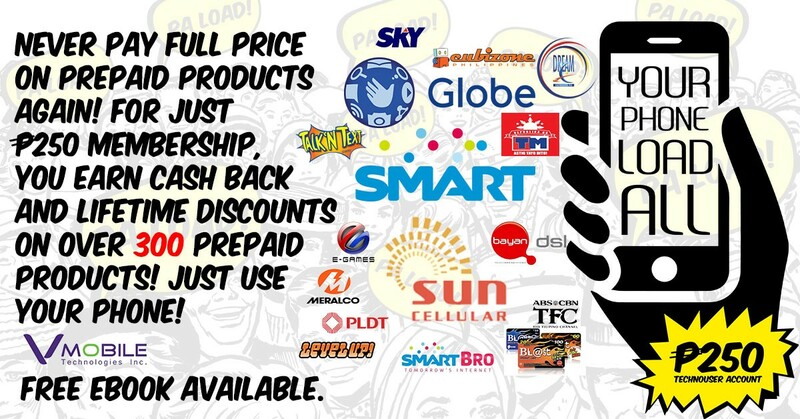 Tip #3: Subscribe to Unlimited Call & Text Promo (preferably when you sell more or when you mark-up P1 for every sale). Good choice if you use your phone to sell load and communicate with friends who use other networks.